Effective communication does wonders to your business. It’s a game changer: it transforms the way people work together, how they interact; it substantially decreases redundancies and the delayed offset of work-related conflicts. Read this article and you’ll know what effective communication is, what it does, and how to develop it. Communication is the process of information exchange and the means to achieve this exchange. Within an organization such as a start-up, or a larger, more established, business, communication is how people exchange information regarding various relevant operations. It’s not just “people talk”, and it’s not just “how people talk”. One could easily argue that increasing the effectiveness of organizational communication should be highly desirable and potentially beneficial for all sorts of organizations. Effective communication is composed of only factually correct information. “Harry Potter is fictional”. This sentence is accurate; it does not have any factually incorrect information. Stock market predictions are not facts, though they can be considered contextually factual as information. They are not accurate to-reality, they are accurate to-model. Does “1+1=2” express everything that needs to be stated? If yes, then your communication is complete. “Harry Potter is a character in a series of books” is to the point if that’s what your communication is about. Would this be complete? Or accurate? Or both? Sending your accounting internship program schemata to your R&D people instead of your HR people is not going to do much for your business. The right people are those in a position to receive, understand, and act on your communication. “Hsirebbig s’that” OR “That’s gibberish.” Presentation is key! You need to organize your information exchange so that people need minimal amounts of mental processing to grasp your communication. If you tell someone “you will need your passport” while they’re at the check-line at the airport, that’s not exactly the right moment to offer this piece of advice. You should share information at the right moment. Plenty of articles out there describe effective communication as “clear, concise and to the point.” That’s incomplete, which isn’t a surprise. After all, they didn’t list this attribute. The main merit of effective communication is that it’s not ineffective communication. In fact, poor communication can lead to all sorts of issues, such as incoherent policies, various types of risks, particularly emerging from horizontal communication, and even hazardous situations, under performance, redundancies, project, and business failure. Effective communication is quintessential for decision-making. Feedback should be a key element in management decisions. Also, having vertical communication channels that allow for feedback is very important to the success of organizations. Another benefit is the way effective communication helps with the cross-departmental coordination, or the coordination fostered by having proper horizontal channels for effective communication. This allows the organization to have highly collaborative and efficient systems for recruiting, administration, marketing, acquisitions that are synchronized towards achieving common goals. Another main advantage is that of interpersonal development of motivation. Effective communication motivates individuals and helps them gain clarity on their responsibilities; they can contribute to fixing the deadlines and save time in meetings by always being efficient with their use of everyone’s time. 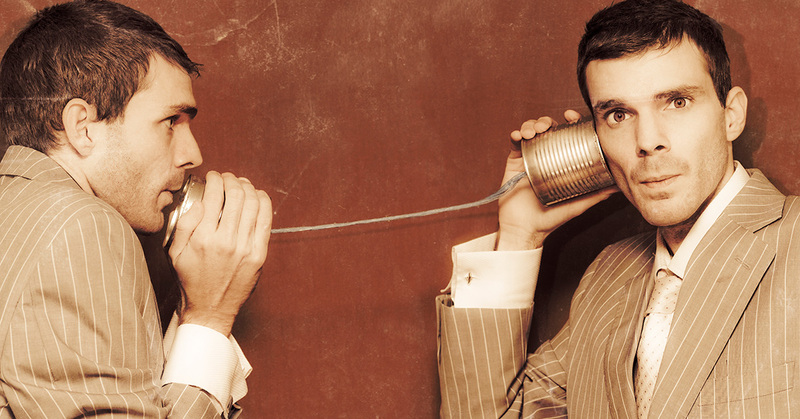 Effective communication is at the heart of an effective organisation. Without it, nothing can be perfected. In fact, every time you do something for your business (give instructions, offer feedback and consultations, exchange notes, plans and ideas, present strategies, etc. ), you can easily improve that process by adding the benefits of effective communication organizationally AND personally. Measures such as these may significantly impact how your business grows or develops. They will surely affect how your employees interact, how they collaborate and how they create value for your organization. First, you should consider it acceptable to use more than one instant communication channel (formal/informal) for the exchange of messages: this allows the communication of messages that would otherwise not happen, and fosters an environment in which creativity is very much encouraged. Secondly, invest and improve two-way feedback. Would it be useful for you to have confirmation that your employee understood your message? Should you acknowledge someone’s achievement? All these things are related, and they develop a positive climate and a sense of mutual respect and pleasant collaboration. Shorten the hierarchical steps for communication between top management and everybody else. In fact, it’s a great strategy if the CEO or someone from top management attends at least one recruiting interview. Besides, fewer relay points ensures better overall fidelity in the transmission. Lastly, show care for clarity. Establish an office culture that strives to develop sensitivity to the needs of the message recipient, that is constantly in the pursuit of communication improvement and that empowers its people, puts them forth and supports their authenticity and the difference they have to offer. Practice what you preach. Always deliver on your promise. Be fair, be kind, be someone to be trusted. Always be honest and genuine. That’s what you should focus on. When dealing with a tough decision, simply delay giving a response you can’t responsibly offer; nobody wants a liar for a leader. People follow because they trust. Keep it short and simple. Information is noise pollution. There’s no need to contribute to the modern paradigm of information being easily accessible, easily available basically anywhere, everywhere. Simply do the opposite. Less is more. Be precise. You don’t have to dumb your communications down. Simply say what you mean, as it’s meant to be understood. That’s all. Be yourself. Sure, be a better version of yourself, but don’t overstretch it. IF you’re the sort of person that does something a certain way, or that expresses themselves in a particular way, go ahead. Go for being authentic. Be who you are. There shouldn’t be any good enough reason for you not to be yourself at work. You’re not “Dexter”. Just take a good look at yourself and see what makes you real. And be that. That’s it. It’s not that you should take breaks from strategy and planning, and live in the now. It’s that you should try and live in the “now of others”. Be present, be visible. Make yourself someone that’s easy to spot and that brings forth positive emotions in people that know you. Make sure your presence doesn’t get unnoticed. This is easy to achieve. First, make yourself present in a quantitative sense: several times a day, walk around your workplace for a bit, offer people an opportunity to see you. Besides, walks are good for you. Then move from this to making a qualitative effort: listen to people. Although there are no “stupid questions”, people appreciate good questions. Because they can reduce most issues to one fundamental question. Because asking the right question helps them bring forth solutions. Other than that, the right question lets people know that you’re listening, that you’re paying attention to them. Take your informational context and make the most of it. People won’t tell you 100% what they think, not even if you ask the right question. However, many of them will show you exactly what they think, but don’t want to share with you: they’ll show it in their body language, their day-to-day interactions and work performance. Take information and convert it into knowledge, into a gestalt of how people interact, how they function together and what your better role can be in all these contexts. Obviously, the best solution would be to do both the organizational and the personal, and synergize. Organizationally, the best way to implement effective communication is by design: from Day 0, it’s all charted. Oftentimes, however, start-ups neglect this and choose to focus on more urgent matters. Later on, this neglect may lead to supplementary costs in training and liability, both as a consequence of developing effective communication organically. This is one key element of your success that you cannot afford to neglect. What’s amazing nowadays is that you have flexible solutions that offer pre-designed context for enterprise-level effective communication. Plus, these collaborative teamwork solutions can factor in from Day 1, improving your chances of success.